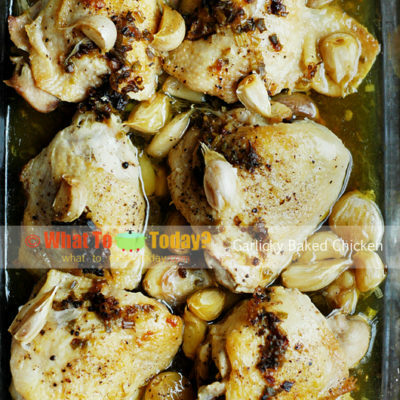 I know when you read the recipe and you see that there’s 4 heads of garlic in this recipe, you gonna think I’m a nutcase !! I’m a garlic lover !! and yes…too much garlic can really stink your breath and perhaps turn the dish into yucky instead of yummy. Understand that all these garlics are actually cooked in whole. They are not chopped or minced. So, in other words, you don’t really eat the garlic (unless you choose to). 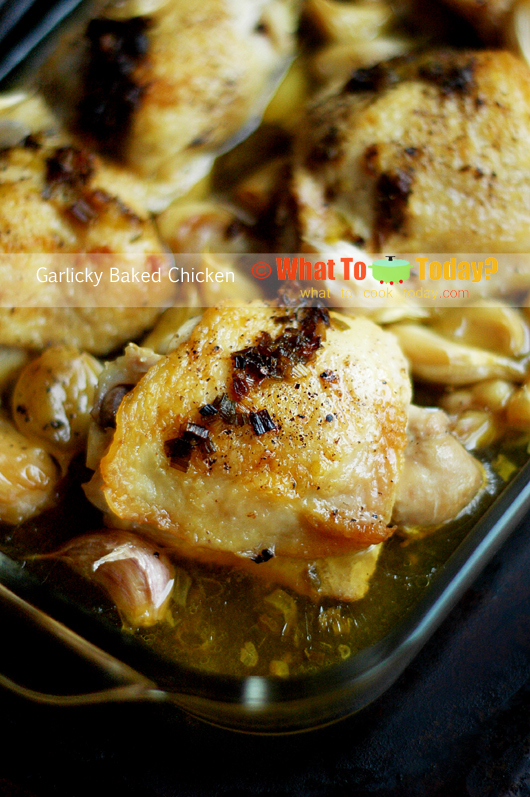 The garlic really flavors up the chicken nicely without overwhelming it. 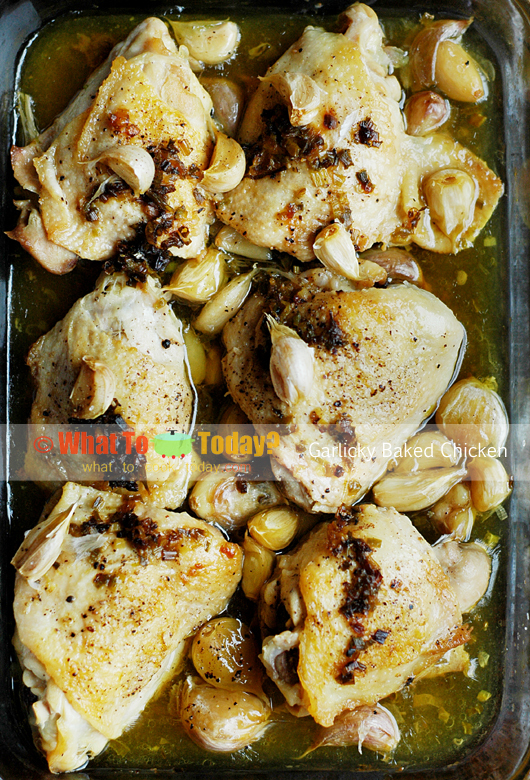 This is also another very easy dish and my girl loved this garlicky baked chicken. She didn’t eat the garlic, but she liked how the overall dish taste and a 2 1/2-year old can be very brutally honest when she doesn’t like something! This one is a winner!